If you are looking for hair extensions in Exeter that are long, luxurious hair that’s full of volume, DoubleHair hair extensions by Balmain is the system for you. 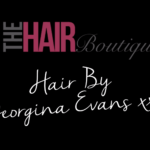 Made of 100% human hair, these extensions can be applied with bonds, rings or clips and come with a six month guarantee. They’re also reusable and can help you achieve volume and length in as little as 35 minutes! DoubleHair hair extensions can be applied easily and painlessly, in as little as 35 minutes. To begin, your stylist will first choose the extension colour that best matches your natural hair colour. After they select the right colour, they will begin the application process by creating a part in your hair where the extensions will be applied. Once the part is clipped in place, they can begin to apply the extensions using one of three methods: glue bonds, rings or clips. Clips can be used again and again easily at home, as they simply clip in and out of your natural hair. For a full description of how glue bonds are applied, see the Fill-In Extensions article. For DoubleHair extensions, your stylist will most likely use the ring application, so they will first set the applicator with the hair extensions in place on the partline using two clips. Once it is secured in place, they will pull four small pieces of your natural hair through the eyelet holes on the applicator. Then, they will take one half of each of the two innermost sections and join them together with a ring. Once the ring is slipped onto your hair, they will squeeze it into place using the ring connector tool. They will continue this process on each of the sections of hair until they each have a ring in place. Then after all the rings have been applied, they will remove the clips and the applicator, leaving the DoubleHair extensions in place. The extensions can then be brushed and styled in with your natural hair. Because of the large amount of hair that is applied at one time, a full head of DoubleHair extensions can be applied in as little as 35 minutes! After your stylist finishes applying the DoubleHair extensions, they will brush them so they are smooth and blended with your natural hair. Then, they can be styled right along with your natural hair. Whether you choose to curl them, have soft waves or straighten them, you’ll never be able to tell where your natural hair ends and the extensions begin! When you are ready to have your DoubleHair extensions removed, the process is quick and easy. If the extensions were applied using glue bonds, your stylist will apply the dissolvent gel to each bond using the Quick Removal tool. The gel will release the bonds, so each extension can be easily pulled out of your natural hair. If the extensions were applied using rings, your stylist will use the same connector tool they used to apply them, to open the rings back up and release the extensions. Then they came be easily pulled out from your natural hair and saved for reuse later. After the extensions have been removed, your hair can be shampooed and styled as normal and the extensions can be reapplied if desired. So if you are ready for a new look or just want to give your natural look a little boost, contact us today and book your appointment for a consultation to find out more about DoubleHair extensions!